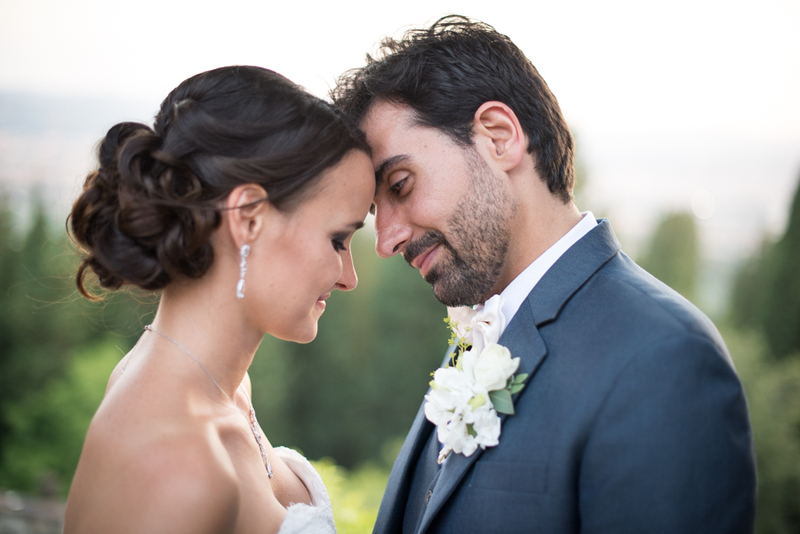 Melissa and Mohamed, a lovely couple from Dubai got married on 11 July 2016 at Castello di Vincigliata, on the Hills around Florence in Italy. Can you imagine getting married in a castle nestled away in the countryside of Italy? The Tuscan Wedding, an Italian Destination Wedding Planner, was able to help this couple in making their dream wedding a reality. Melissa and Mohammad went to them searching for that unforgettable wedding many couples want. "This couple is what we like to call a real love story. They are absolutely infatuated with each other and could barely leave each other's side the entire night", said Daniela Tripodi of The Tuscan Wedding. Melissa and Mohammad have lived in various countries around the world, Melissa left her family in the United Sates for some time to live with Mohammad and his family in Dubai. She made this sacrifice to be with the man of her dreams, and obviously it was the right decision. It can be very hard to keep a relationship with someone when your families, literally, live on different sides of the world but, the love and passion they have is stronger than anything we have seen. Melissa is a gentle soul who lives for her family. Her grandmother unfortunately was unable to attend the festivities in Italy, but was linked up on a live stream and was able to enjoy the day with everyone. Getting married in a castle made The Tuscan Wedding determined to make Melissa and Mohammed feel like they were the king and queen. Their wedding at Castello Di Vincigliata truly made the guests feel that they were in the presence of royalty. Melissa let the castle speak for itself by simply accenting it with tasteful floral designs and a soft color scheme of lavender and lilac. Since this couple was coming from abroad, The Tuscan Wedding was there to help them arrange everything to their desire. It isn't everyday that you come to a castle in Tuscany and get married in front of your family and friends. The wedding planners took the castle and transformed it to make the guests feel like they went back in time to the medieval ages. This was done by lining the entire castle with candles and torches. Guests were absolutely stunned by the beauty of the castle and the decor that was handpicked by Melissa and her wedding planners. The ceremony, aperitif, dinner and reception were all thought out carefully and embodied everything Melissa and Mohammad imagined. The floral designs used in the table settings matched the bridesmaids dresses with that same soft color palette. This was a beautiful way to keep the consistency in the colors. You can also notice similar colors in Melissa's bouquet which, again, added just enough color in front of her amazing dress. The greenery in her bouquet matched the same greenery that surrounded the castle. The rolling hills in the background of the ceremony are truly sights to be seen. "Every couple has a vision in their head of what they wanted their big day to look like and we truly believe we were able to help Melissa and Muhammad achieve their vision. This is a day they and their guests will never forget" said Daniela.